Below is an excerpt from the minutes of Congress dated December 11, 1776–just five months after the signing of the Declaration of Independence. 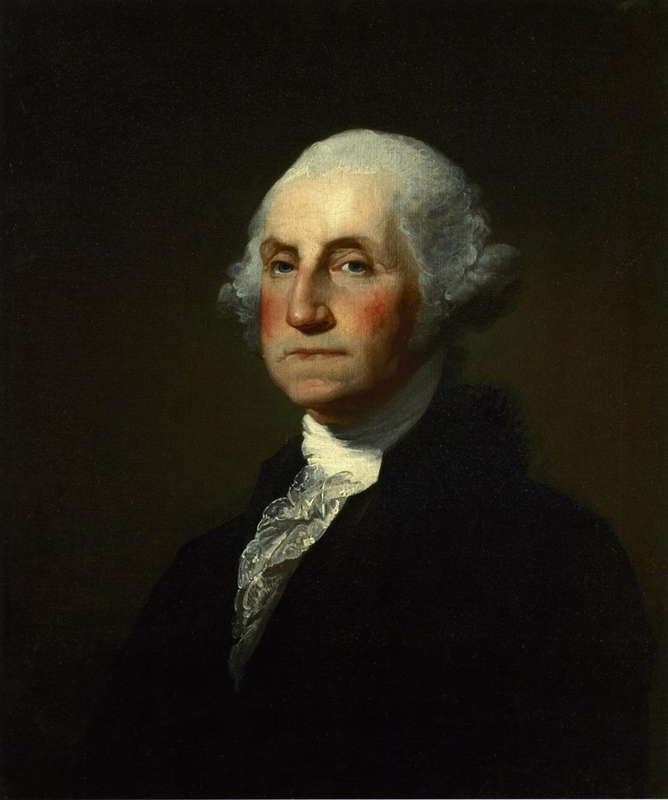 It recommends a day of fasting and humiliation to seek God’s forgiveness and favor as a nation during the American Revolution. 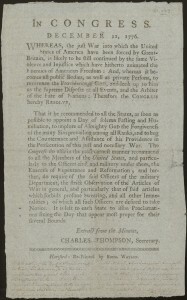 That it be recommended to all the States, as soon as possible to appoint a Day of solemn Fasting and Humiliation, to implore of Almighty GOD the Forgiveness of the many Sins prevailing among all Ranks, and to beg the Countenance and Assistance of his Providence in the Prosecution of this just and necessary War. 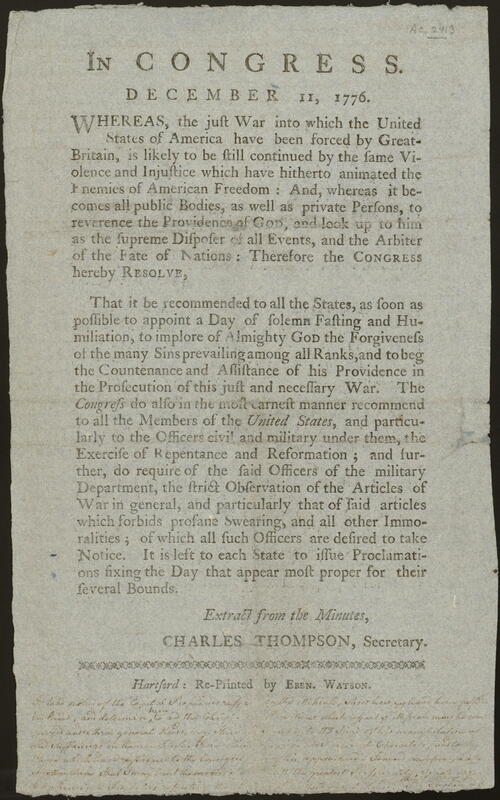 The Congress do also in the most earnest manner recommend to all the Members of the United States, and particularly to the Officers civil and military under them, the Exercise of Repentance and Reformation; and further, do require of the said Officers of the military Department, the strict Observation of the Articles of War in general, and particularly that of said articles which forbids profane Swearing, and all other Immoralities; of which all such Officers are desired to take Notice. It is left to each State to issue Proclamations fixing the Day that appear most proper for their several Bounds.